I’ve said it before and I’ll say it again: Europe is one of the most underrated destinations for Stand Up Paddle racing. It’s got some of the world’s very best paddlers, very best beaches, and some of the best races. While the SUP world often looks to California, Hawaii, and to a lesser extent, Australia, a lot of action goes unseen in Europe. 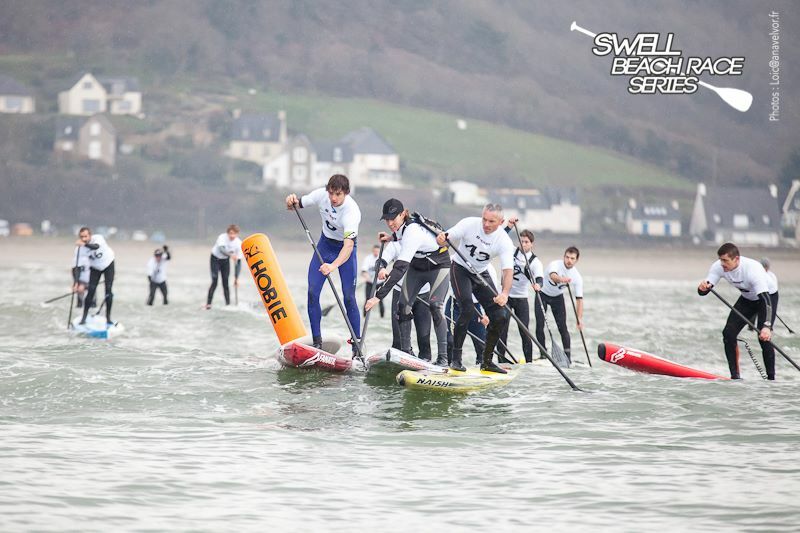 And by far the strongest SUP nation in Europe is France. 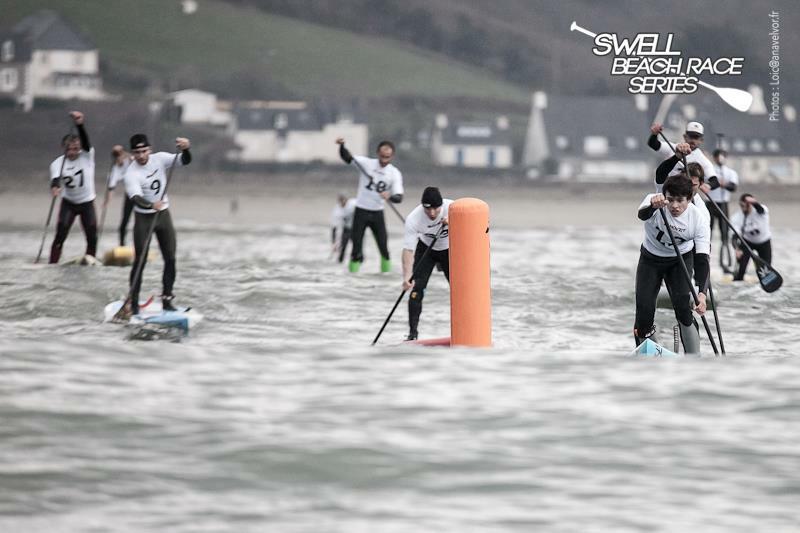 France holds a LOT of SUP races every year, and yesterday another new series kicked off: The 2013 Swell Beach Race Series. Event #1 was held at the very picturesque “Plage de Saint Michel en Grève” (everything sounds better in French…) in Brittany on the West Coast. 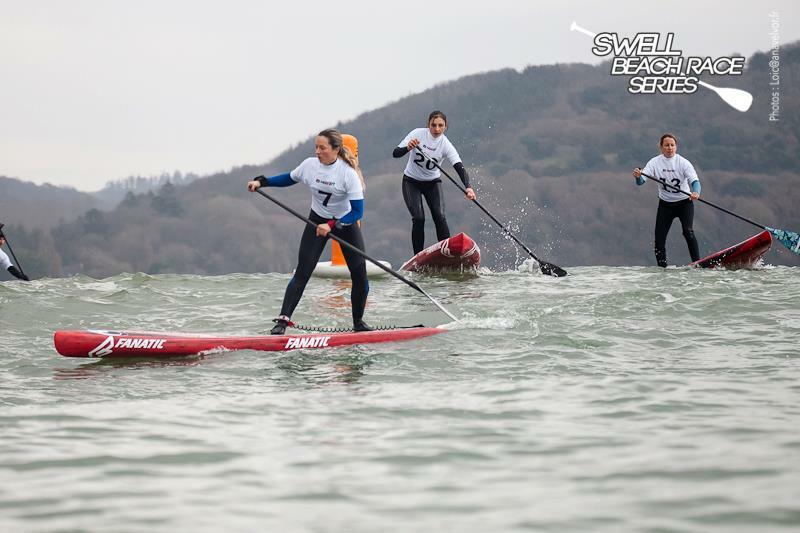 Conditions looked chilly but that didn’t stop 33 die-hard Stand Up Paddlers from donning their wetsuits and having a crack at a Battle of the Paddle-style race. 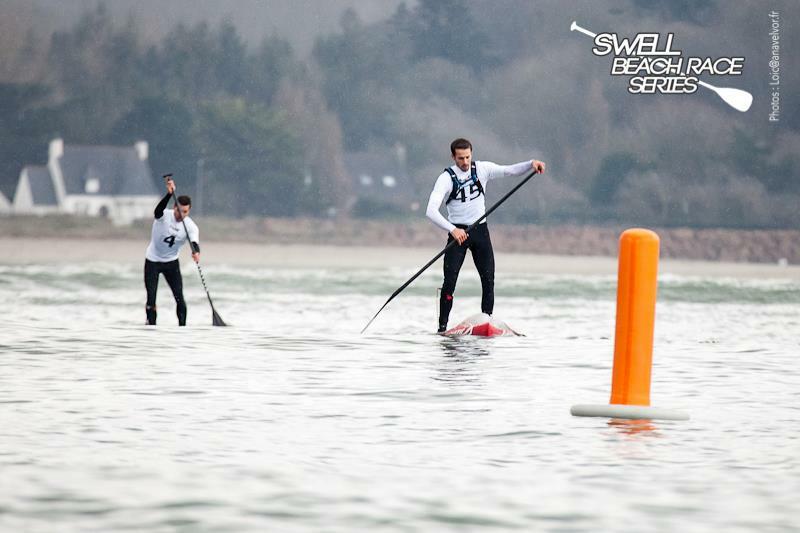 Two of France’s (and Europe’s) leading paddlers Greg Closier and Yoann Cornelis dominated the race. 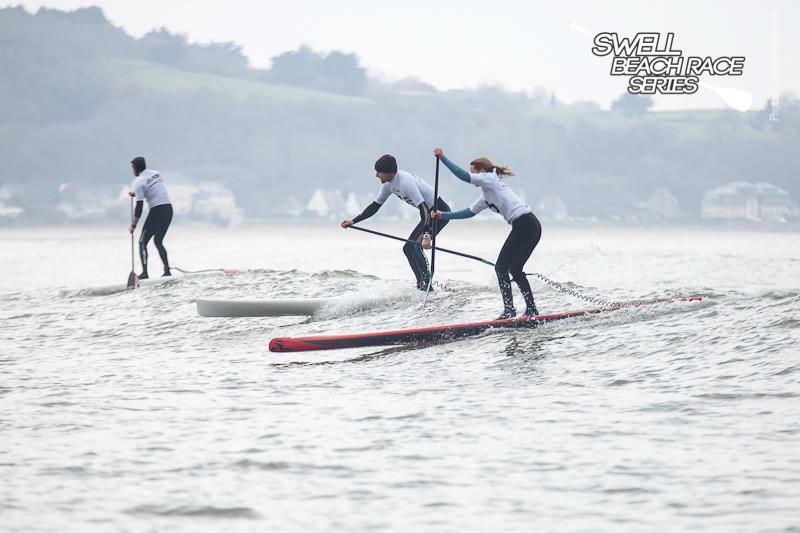 Greg is on the podium of pretty much every SUP race in France, while Yoann has made a quick rise through the ranks and now finds himself on the French team for the ISA Stand Up Champs in Peru next month. The pair battled it out yesterday for over 40 minutes, before Greg finally took the win a minute ahead of Yoann (who is a Saint-Michel-en-Grèves local). There’s a full recap of yesterday’s race on the official site (click here for the Google translation). 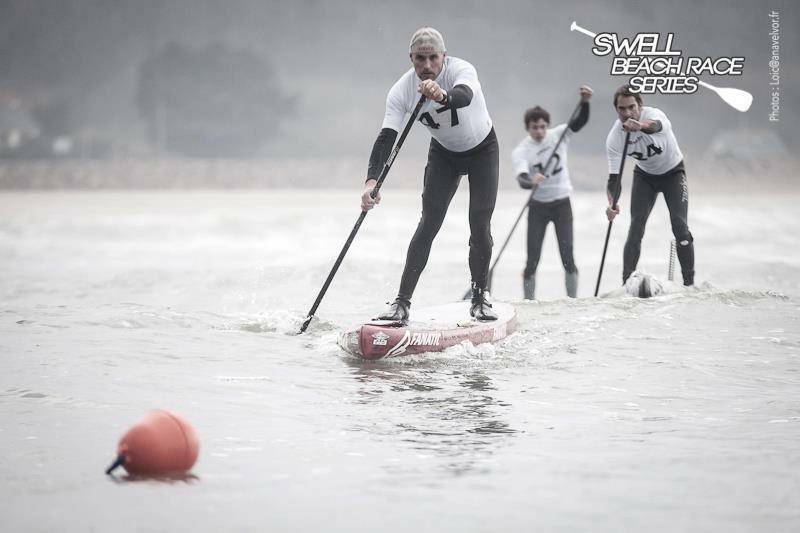 The Swell Beach Race Series continues on February 17th at “Le Conquet” (gotta love the French language) and you can see the full schedule on our 2013 SUP Race Calendar. 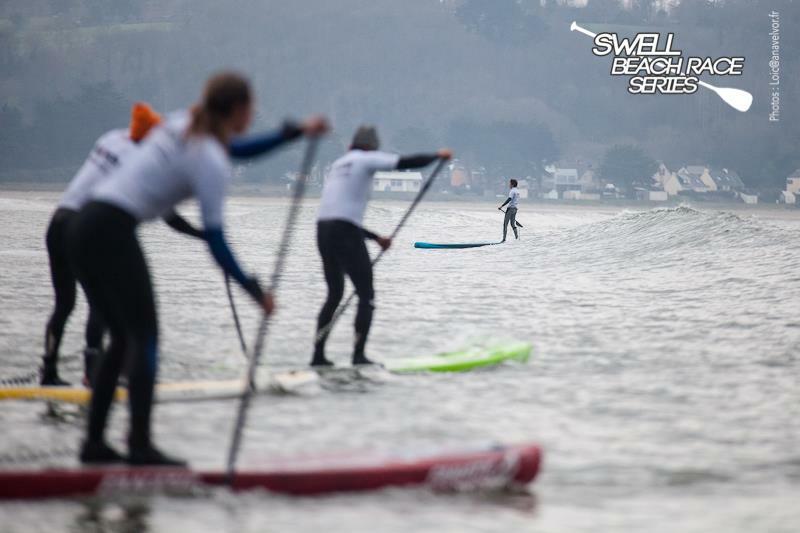 Get the results from race #1 below and then scroll down for some great photos of the action.